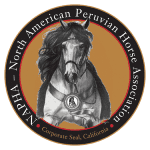 Short Business Description: Breeder’s of quality Peruvian’s for show and trail. We have been breeding Peruvian horses for 15 years and we are the largest breeder in Colorado. We have Roberto Quijandria training horses on our ranch and we are open to outside horses. We are proud of what we have accomplished and yet working constantly on improving our horses.